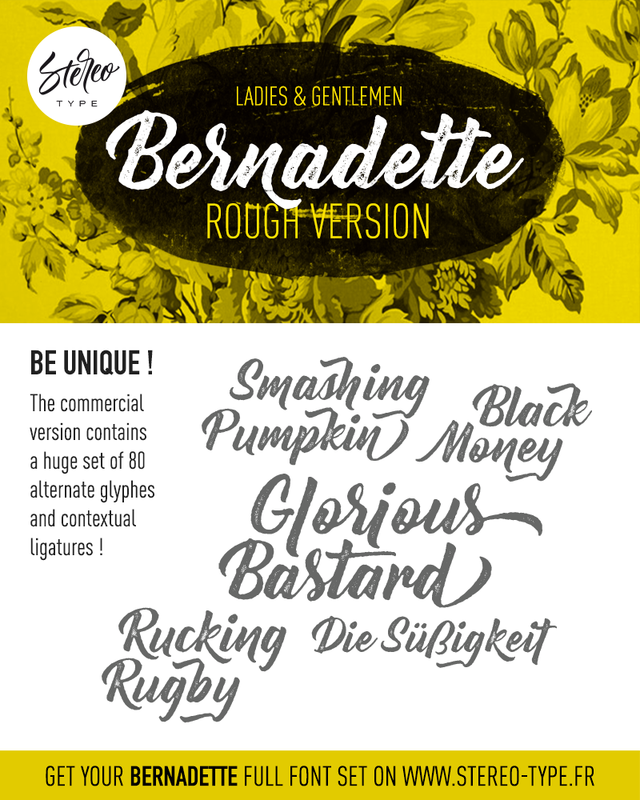 Simply test and download this free high quality Bernadette Rough Regular font which found in Grunge category font listing, And this is designed by StereoType, Make sure you check the license before using this font. Bernadette is a trademark of StereoType - Clement Nicolle . Copyright (c) 2016 by StereoType - Clement Nicolle . All rights reserved.